The world is changing every day with technology getting stronger and advancing ahead leaving us with a question what next? Technologies like Virtual Reality and Augmented Reality once claimed as the technology of tomorrow is now being used everywhere in day to day life from computers to medical research. Jpeg XS is one new addition to the existing image compression technology that will enhance the virtual reality experience of users. Jpeg-Joint Photographic Experts Group is a compression technique used by a number of image file formats. Jpeg is the most commonly used file format by digital cameras and most of image capturing devices. It is the most commonly used format to store and transfer images over the internet & storage devices. 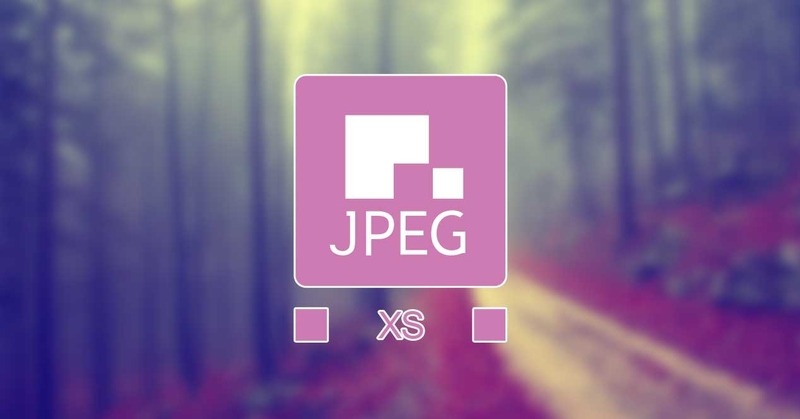 Jpeg XS is the new image compression standard by the Joint Photographic Experts Group. The primary aim of Jpeg XS is to stream the file instead of storing them in devices like smartphones or laptops which has limitations of memory. Hence, instead of storing it on a device to end up losing and struggling to recover lost photos, it is better to stream over internet and Jpeg XS is here to do that job. The newly developed image compression standard uses very less energy in the process of image compression. Hence, compressed Jpeg XS videos and Jpeg XS images will have a better quality when compared to that of existing Jpeg images and Jpeg videos. It also eases the process of sending high-quality pictures with low latency over broadband networks like 5G. The Difference between Jpeg and Jpeg XS? We all know Jpeg is a standard compression technology used in storing of images, whereas Jpeg XS is a more efficient compression technology used in streaming of pictures or videos over Wi-Fi or 5G network. Jpeg compression standard is a lossy compression where the quality of the image is reduced. Jpeg XS, on the other hand, is said to have no visual loss to the image compressed. Jpeg images are compressed by a factor of 10 whereas Jpeg XS images are compressed by a factor of 6. The compressed Jpeg XS images and Jpeg XS videos are found to be of high quality when compared to those of compressed Jpeg images and Jpeg videos. Virtual Reality: Some users who use VR goggles can feel nauseous due to the delay in movement and indistinguishable response to that movement. With the advent of Jpeg XS, users will have a better VR experience. Drone Cameras: The main aim of Jpeg XS is to provide low latency that is in case of a drone camera, the picture seen by the drone camera and user operating the drone at the ground will be same. The photos captured on drone are of high quality and they should be handled carefully to avoid deletion or missing of photos due to any data loss scenarios. In case of data loss you should consider using a data recovery software to recover deleted photos or videos from SD card. Self-Driven Cars: In this case, the implementation of the Jpeg XS will reduce danger to humans in self-driven cars, where again the latency rate of the video will be optimized by Jpeg XS resulting in the increase of reaction time to the video. Wireless Connection between devices: Jpeg XS will also reduce the screen sharing time between different devices like TV monitors, projectors. Video Editing: Another application of Jpeg XS is it being an open source and it’s universal HDR coding format which can be used without transcoding. It would take over a large number of video devices and Society of Motion Picture and Television Engineers-SMPTE has considered using Jpeg XS for professional video editing. It is evident that the new Jpeg XS will be a big player in consumer electronics. To be able to use this the user should own next-generation devices. In case of software, it said that a software update is all needed to use Jpeg XS. Brace yourself to witness the changes that Jpeg XS is going to deliver in coming days. Lightrooms lossy DNG compression technique saves 67% of your disk space! ‹ What is GRUB? How to recover lost operating system data after GRUB rescue error?